Bill Westenhofer was played off the Oscar stage during his mention of VFX studio Rhythm & Hues. The “Jaws” music began playing during his mention of Rhythm & Hues VFX studio. 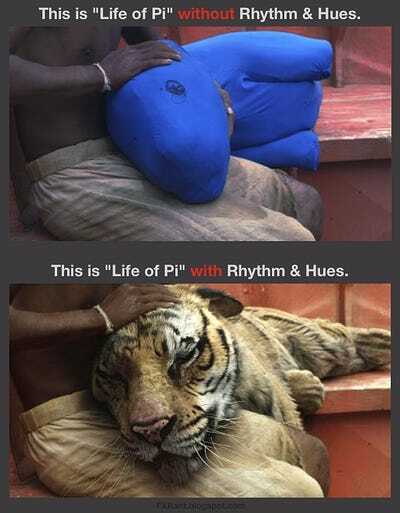 Rhythm & Hues is the studio responsible for bringing the CGI-filled “Life of Pi” to the big screen. 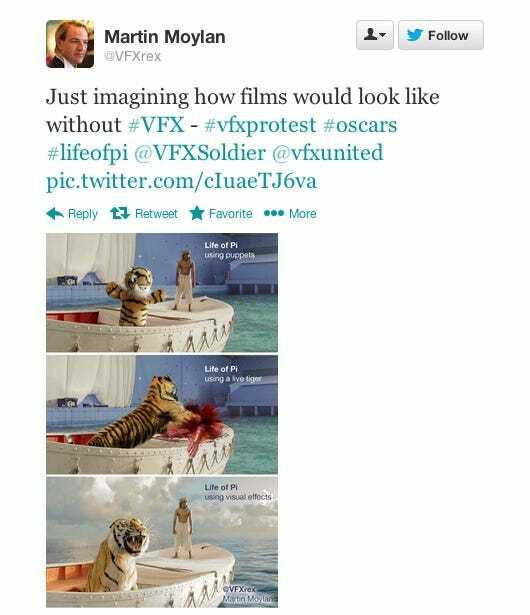 It took 600 of its artists to animate Bengal tiger, Richard Parker, in the film. 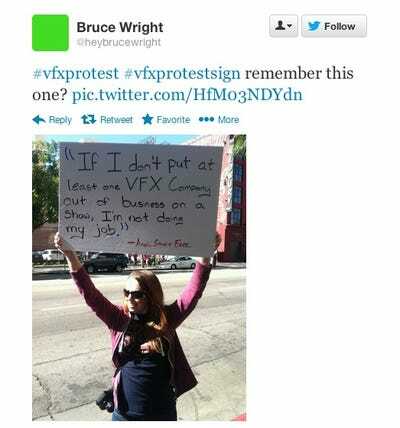 It’s not the first VFX company to have trouble in the past few months. Digital Domain Media Group (DDMG), the company responsible for helping to bring “Titanic” to life on the big screen, filed for bankruptcy back in September. They were soon bought for $37 million by Beijin’s Galloping Horse and Mumbai-based Reliance Capital. The image quickly caught on and began spreading around the Internet, and has inspired more artists to illustrate visuals conveying a similar message. 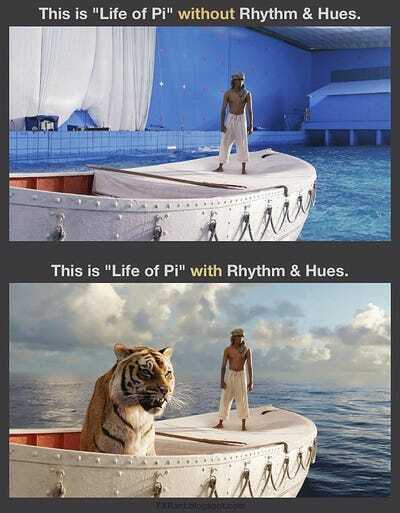 Among the four awards for “Life of Pi” Oscar night, two of them were for Cinematography and Visual Effects. 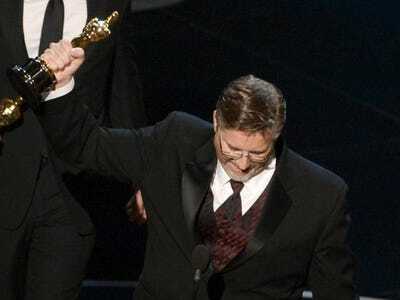 Worldwide, the film has grossed more than $583 million.